Engagement Party Favor Idea: Personalized Sweetheart Cookies! If you’re planning an engagement party, you might be on the lookout for something spectacular. You need something to make the event truly unforgettable! Whether it’s your own engagement or your bestie’s, you’ll want to celebrate in a big way. So feast your eyes on these one-of-a-kind treats! 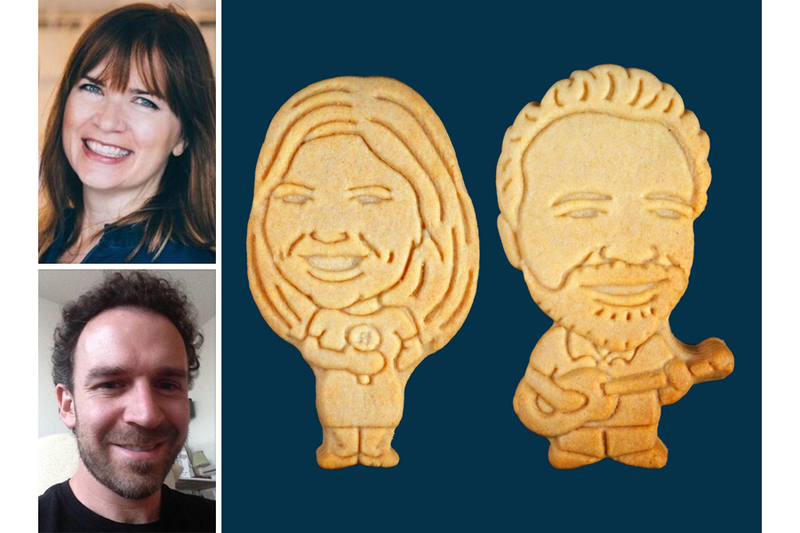 Here at Parker’s Crazy Cookies, we create unique and delicious party favors that look just like you and your sweetheart! These romantic personalized cookies are the sweetest way to celebrate an engagement. Everyone knows how important wedding favors are! But you can kick off the festivities early with some incredible engagement party favors as well! 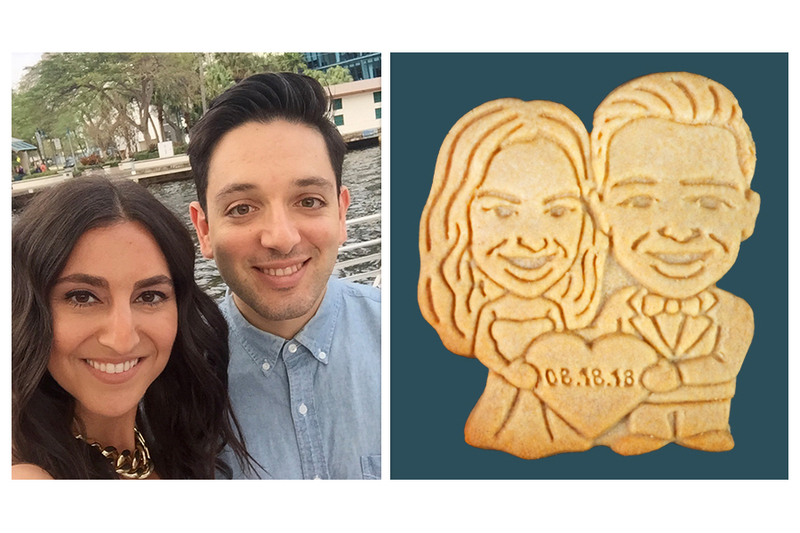 Take a look at some of our favorite couple cookie designs of all time! These personalized treats simply can’t be beat! Are you getting ready to say I DO? Then you’ll want to make sure all your honored guests save the date! Treat them to these personalized cookies at your engagement party, complete with your wedding date! That way they’ll have the big day memorized for sure! If you’re celebrating your engagement with your closest friends, you might want to treat them to a sneak peak of your wedding! 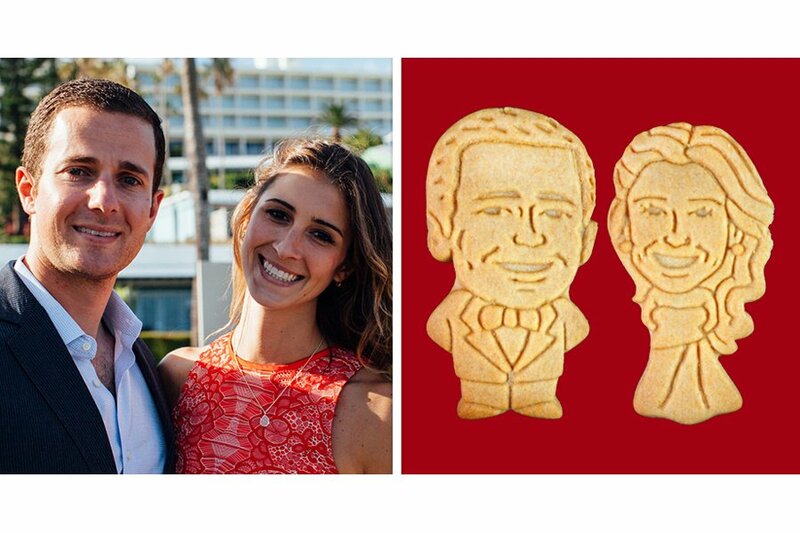 So why not show off your tux and dress with these one-of-a-kind cookies that look just like you! There’s no better way to give your guests a preview of the big day! Like many brides and grooms, you might be planning a big toast for your big day! That means you’ll probably want to rehearse in advance. Your engagement party is the perfect occasion to practice! After all, your most honored guests will all be present. So it’ll be the perfect time for a trial run! Pair your speech with these personalized sweets, and it’ll be the best party ever! Ready to create a one-of-a-kind couple cookie for your big party? Create a personalized cookie with us at Parker’s Crazy Cookies today! Previous PostPrevious Wedding Checklist Solution: Personalized Wedding Cookie Favors! Next PostNext 40th Birthday Party Ideas – Unique, Unforgettable Personalized Cookies!